Tony Gelbart, co-founder of Nefesh B’Nefesh, addressed the 231 new Israeli citizens who landed in Israel on Tuesday. Tony Gelbart, co-founder of Nefesh B’Nefesh, addressed the 231 new Israeli citizens who landed in Israel on Tuesday morning. 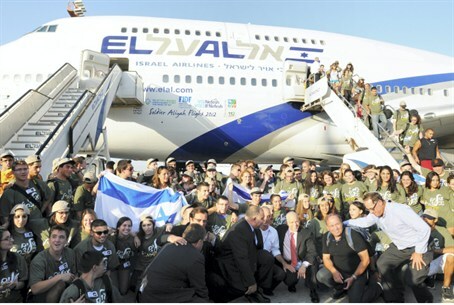 50% of the olim were children, a new record for a Nefesh B'Nefesh aliyah flight, in cooperation with The Jewish Agency for Israel. Gelbart told the new olim that they now have an opportunity to shape the future of the Jewish people.